What Causes Bad Breath? How to Avoid This! Have you ever seen commercials of minty gums offered to those with bad breath? Halitosis is very common, but it’s important to act on it and figure out why you’re having bad breath in the first place. Not all the reasons of having bad breath is due to bad dental hygiene, though you should be constantly taking care of your teeth and gums. There are many causes as to why you’re having constant bad breath, and you will find out these different reasons. But before there are listed, remember that it’s necessary to visit a dentist every 6 months to the dentist. If you’re looking for a Bad Breath Treatment, then don’t hesitate to call our office right away to make an appointment. How To: Decrease Your Risk of Oral Cancer! Did you know that a long time exposure in the sun can cause oral cancer? Why do you think there are lip balms that are SPF 30,50, etc? But that’s not the only thing that causes oral cancer! You’re at greater risk of this type of cancer especially if you consume a lot of alcohol, if you smoke, or chew tobacco. 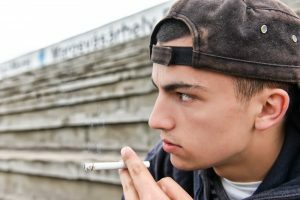 Aside from alcohol, smoking, and chewing tobacco causing you other health problems, they give you a higher chance of developing abnormal growing cells known as cancer cells. The alcohol can cause oral cancer due to the fact that it slows down the ability of cells to repair their DNA that were damaged that were caused by the chemicals of the tobacco. If you want decrease your chances of developing oral cancer is by reducing the number of alcoholic drinks or just eliminate it from your life, quit smoking, and/or stop chewing tobacco! Save yourself trouble from oral cancer and many other health problems that these bad habits bring. At Andres Cardenas office, you can make an appointment to get a check-up for oral cancer, and if it’s necessary to get an Oral Cancer Treatment right away. Have Sensitive Teeth? Find out Why! Who thought chewing a soft ice cream could cause such excruciating pain that would literally make you scream? It’s not the ice that gives everyone trouble, it’s the sensitive teeth. Yeah, ice cream or cold drinks may give people brain freeze, but you obviously know that it’s not the cold part. Hot, cold, or acid drinks or foods can all cause pain to your teeth if they’re sensitive. Your teeth need to get stronger, and there are many ways you could treat your teeth from being sensitive. The reason why your teeth feel pain when eating or drinking something cold, hot, or acidic is because the enamel becomes thin, and there is less protection and there is more external stimulation on the dentin. You could eliminate certain bad habits that are causing the exposure the dentin. At the Miami Cosmetic Dentist’s Office, the Sensitive Teeth Treatment is extremely popular among dental patients. For this very reason, we urge you to follow our helpful dental tips that can ensure you healthier and less-sensitive teeth! Bad Habits That Are Destroying Your Teeth! Do you want your teeth to be as healthy as possible? Everyone has bad habits, especially one that they can’t seem to stop. The only way to completely eliminate a bad habit is to know the negative effects it brings. There are different types of bad habits that damage your teeth tremendously. It’s important that you take good care of your teeth because if you don’t you’ll regret it later! You can be that type of person to follow all the rules to a better oral health, but if you don’t quit your habits that destroy your teeth then actually you will never maintain a dental health. 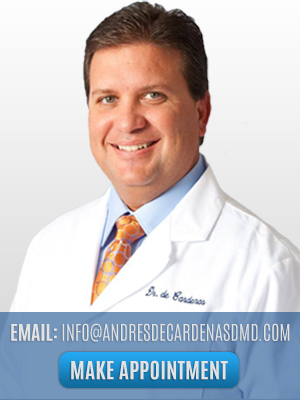 The South Miami Dentist, Andres de Cardenas, has been able to find different treatments that can erase all the damage caused by your bad habits! If a simple treatment for healthier teeth is what you are looking for, the call the South Miami Dentist today at 305-251-3334!